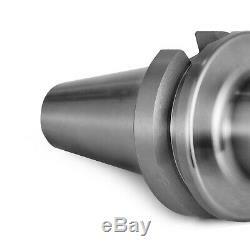 The thread select grinding process obtains the better interchangeability. 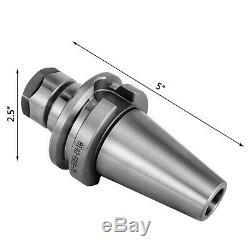 Internal set screw is included and can be used as a stopping pin to prevent end mill or drill from sliding backwards while performing heavy cutting. The CAT40 CAT50 BT30 BT40 7:24 taper is inspected on production line by Stotz Air/Electronic instrument to ensure AT3 or better taper contact. 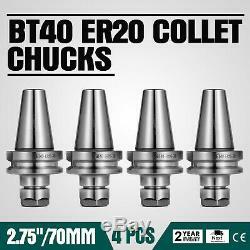 4 PCS BT40 - ER20 collet chucks with. 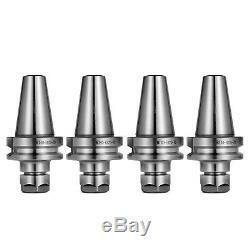 Gage length: 2.75----4 pcs. PRODUCED ACCORDING TO AT3 SPECIFICATIONS. 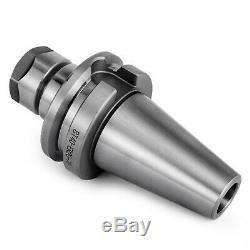 Alloy steel hardened to 50-52 rc. 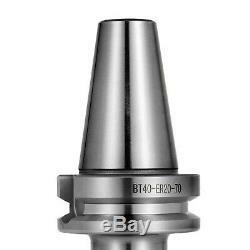 Works on all BT40 machines. 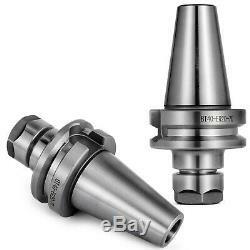 Collet chuck accepts all ER20 collets. Coolant flows through tool holder. 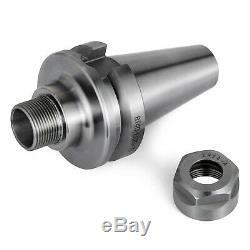 70mm Gage Length, Hex Nut (included). Balanced to 25,000 RPM at G2.5. 0.0001 runout from taper to pocket. Taper ground to AT3 standard. 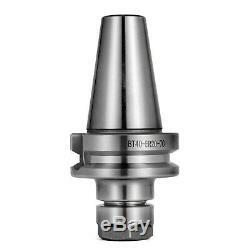 Concentricity/runout less than: 0.0001/0.003mm. As a leading and emerging company in manufactory and exporting business, we are specialized in Business and Industrial Products, Sporting Goods, Pet Products, Home and Garden products for more than 10 years. We believe that it is our vision and mission to provide innovative products with best service and competitive price to satisfy you. Please contact our customer service before you return an item. 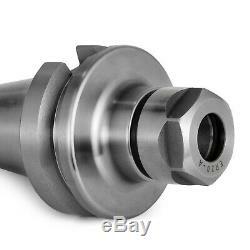 The item "4Pcs BT40 ER20 COLLET CHUCK W. 2.75 GAGE LENGTH Tool Holder Set Good Set Cover" is in sale since Thursday, February 21, 2019. 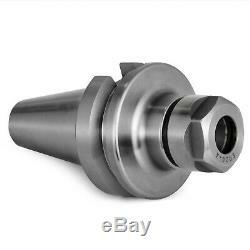 This item is in the category "Business & Industrial\CNC, Metalworking & Manufacturing\Workholding & Toolholding\Toolholding\CAT Holders". 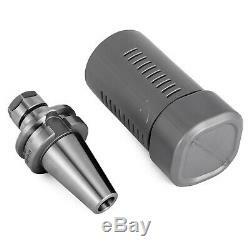 The seller is "technology-etrade" and is located in Ontario, California. This item can be shipped worldwide.